Four days, 4 stages and more than 30 acts at Taalbelia quite made the ideal combination of the comforts of a vacation immersed in music, arts & crafts, along with adventure, royal hospitality and gastronomic delights, unique to the belt. The audience base was wide and vibrant from toddlers to teenagers to octogenarians attending all 4 segments with gusto. Showcasing the majestic and equally magnetic charm of the Shekhawati region and its culture, this round the clock affair, hosted 4 stages through the day and night - thereby different genres of contemporary, classical and folk music to enthral the residents between two breathtakingly beautiful venues, namely Castle Mandawa and Desert Resort, both the residencies were sold out by 2nd day of the festival. Known for its forts and havelis, this picturesque town provides travellers and visitors with a sense of discovery at every turn. The stages, namely Meera Chowk, Risala, Dhobhi Ghat and Big Ibhah along with the workshops kept the resident audiences enraptured through the day until the wee hours of the morning. 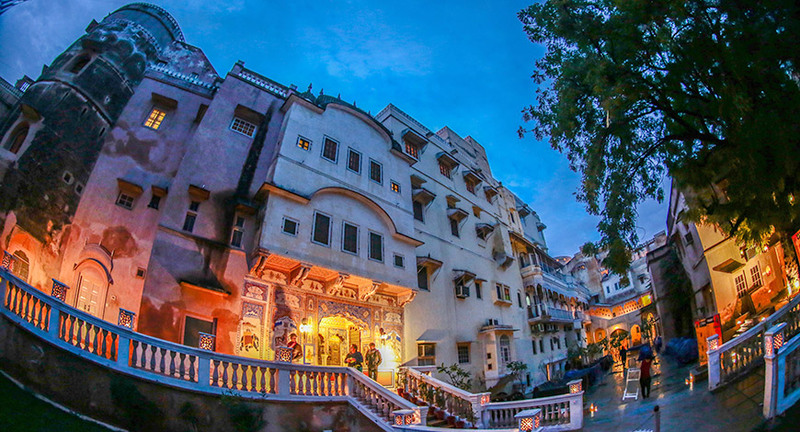 Despite, the late hours , the audiences managed to wake up to light devotional music emanating from Meera Chowk (Castle Mandawa) that saw elevating performances of Sumitra (meera bhajans) and Sunita Amin (dhrupad) and Sukriti Sen, that filled the halls of the castle with the sound of the celestial ragas. The setting then moved to the Risala -the afternoon stage, which was set to the one of the backdrops of the Mandawa Castle. Risala saw a neat blend of saw fusion and Rajasthani folk along with impromptu collaborations featuring artists such as Bhanwari Devi, Rajasthan Josh, Grammy award winner and Padma Bhushan Awardee Pt. Vishwa Mohan Bhat, and Prem Joshua and Band among others perform under the sun in the open courtyard of the castle. The evening events held at the Dhobi Ghat and the Big Ibhah stages in the Desert Resort showcased an array of genres ranging from Hip-Hop and Blues to Reggae along with EDM, World Fusion and other genres of indie music with performers such as coveted singer-songwriter Prateek Kuhad, Grammy winner George Brooks, Soulmate, Indian Ocean, Divine, Reggae Rajahs, Ankur and The Ghalat Family, Sound Avtar, Dualist Inquiry among others. The seating arrangement and simplistic yet alluring decor for the audience in each venue was carefully orchestrated to truly capture the essence of Rajasthan. The debut edition of this festival saw 3 collaborations which will live long in the hearts of its patrons, namely the magical coming together of Indian Ocean with Pandit Vishwa Mohan Bhatt and George Brooks and the two-timer impromptu collaboration between Hari and Sukhmani and Chugge Khan of Rajasthan Josh. Khan joined them on stage on day 2 on the Big Ibhah and the duo returned the favour with a brilliant jugalbandi on day 3 at Risala. The roots of Rajasthan have travelled musically across the globe, transforming cultures and traditions with its nomadic vibe. Taalbelia helped people experience this vibe and a rich confluence of music and other art forms in a boutique environment. The festival’s special market Katla Bazaar, hosted by AnanTaya displayed Taalbelia merchandise, travel and home décor accessories, stationery, hand-block printed garments, jewellery, handcrafted and festive bags, hand-woven stoles and beautiful handcrafted mojaris to take home as souvenirs of this memorable festival. The market also had a listening booth with special Taalbelia themed headphones, streaming the all the performing artists and their music was also available for sale as well. Since this was a residential festival and every accommodation option had a story to tell. Patrons chose between the regal rooms bearing marks of history and royalty at Castle Mandawa, scenic earthy cottages bearing the vibrant colours of Rajasthan in its interiors at the Desert Resort with round the clock service. Luxury tents, in close proximity to the Big Ibhah stage were picturesque with their faint yellow lights glowing amongst the Dunes of the Desert Resort. The music at Taalbelia was spread across 3 nights and 4 days, 2 venues and 4 stages namely, Meera Chowk for Morning Sessions, Risala in the afternoon, Dhobhi Ghat in evening and nights at The Big Ibhah. 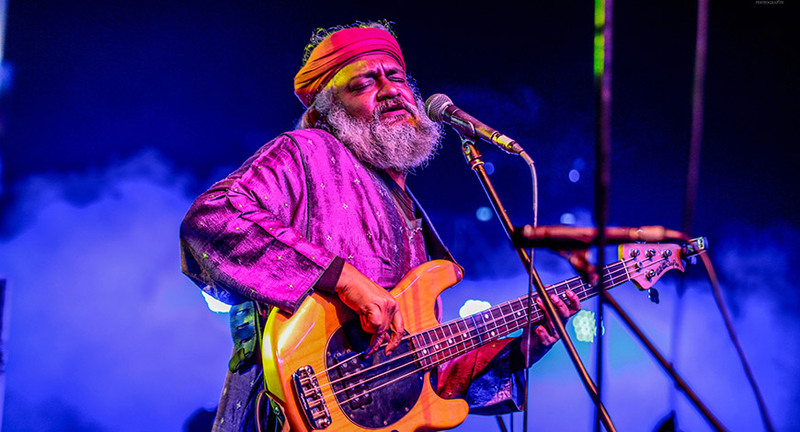 The programming boasted of specially curated sets featuring the rare collaboration of Indian Ocean with Grammy Award winning stalwarts, Pandit Vishwa Mohan Bhatt (Jaipur-based Mohanveena or slide guitar exponent) and George Brooks (American saxophonist known for combining jazz and Indian classical music) and one the best Blues acts of the country - Shillong’s Soulmate. The Rajasthani folk legacy of the latter was continued with the younger generation in Manganiyar Classroom by Roysten Abel - an energising set by the Next Gen of Manganiyaars. Other wonderful acts on the billing were: Mumbai’s easygoing acoustic folk-rock act Ankur & Ghalat Family, , Delhi-based Tech/Minimal DJ Producer Arjun Vagale, one half of Midival Punditz Gaurav Raina aka Grain (DJ Set), singer-songwriters Prateek Kuhad, Dhruv Vishwanath, Rajasthani folk-singer Bhanwari Devi, Mumbai based Rapper Divine, Dualist Inquiry –Sahej Bakshi, Ghazi Khan & Anwar Khan Manganiyar(s), Nicholson (Saurabh Nicholson’s live electronica project), Bangalore’s acclaimed rock band Parvaaz, Prateek Kuhad from Delhi, Prem Joshua and band from Goa, Local heroes -Rajasthan Josh Group, Reggae Rajahs, Ritviz DJ Producer, Shadow & Light, Sid Vashi, Sound Avatar, Kochi’s When Chai Met Toast along with Sumitra (meera bhajans) and Sunita Amin (dhrupad) who were featured in the early morning sessions. Taalbelia’s Pro-Life exquisite Workshops had a distinctive set of interactive sessions: Nagada playing which attracted the music lovers by its majestic sound, Lac Bangles artist found themselves surrounded with the curious men and women who learnt more about technicalities and precision involved in the art of bangle making. Kids were smitten with the miniature painting classes along with kite making workshops. The sumptuous Shekhwati cuisine Taalbelia’s Gourmet Fiesta was home to food-lovers who wished to indulge in unique cuisine and authentic delicacies of Shekhawati and the region does boast of an array of fine culinary delights The menu however wasn’t restricted to Rajasthani wonders, extending itself to world cuisines such as Middle Asian, Mongolian and Mexican specialities. The initiative was brought alive by event and experiential marketing agency Event Crafter in joint collaboration with the Royal Family of Mandawa.